WHISTLE DOWN THE WIND is a story that has touched hearts and minds the world over during the four decades since Mary Hayley Bell's novel first appeared. The beloved 1961 motion picture version (written by Willis Hall and Keith Waterhouse, directed by Richard Attenborough and Bryan Forbes, and starring the novelist's daughter, Hayley Mills [see story, p. 6] and Alan Bates) has become something of a British cult classic, its devoted fans relishing the film in detail, frame by grainy black-and-white frame. Russell Labey and Richard Taylor have transformed this time-tested tale into a stage musical that prompted The London Times to proclaim, ""Few shows attain the sentimental delicacy of this delightful tale. It is a touching evocation of childhood innocence and adult mendacity that loses nothing in its move from cinema to theatre."" We are extremely proud to announce its availability for production in the U.S. and Canada. Like the novel and film, the musical is set in a Lancashire village in the late 1950's, before media-induced cynicism had compromised the freedom of the child's imagination to soar on its own. When three children discover a bleeding fugitive hiding in their barn, they believe him to be Jesus Christ, making his promised Second Coming. With a spirited sense of defiance and commitment, the village children take a vow of secrecy to harbor the stranger, pitting their transcending power of belief against the authorities as well as their own mean-spirited and vindictive parents. At no time in the musical is the audience told, one way or the other, if the man is a convict or Christ. A moving parable about faith, conviction and the fragile optimism of youth, WHISTLE DOWN THE WIND is a musical that soars with human spirit. As the London Evening Standard warned, ""When the kids link arms, singing, to prevent the police carrying out a second crucifixion, have your hankies ready."" The title may be most familiar on this side of the Atlantic from the Andrew Lloyd-Webber musical of the same name that debuted in Washington, DC last season, and there is, in fact, a connection. The musical we represent was commissioned by London's acclaimed National Youth Music Theatre and developed courtesy of a generous grant from Lord Lloyd-Webber. Labey and Taylor's WHISTLE DOWN THE WIND, announced the proud benefactor upon attending its premiere in 1992, ""is a perfect example of the kind of new musical I want to encourage composers and writers to create."" In fact, so taken with the production was Lloyd-Webber that it inspired him to write his own version. WHISTLE DOWN THE WIND was an absolute triumph in its English stage premiere (touring for two years thereafter) and subsequent presentations included the Edinburgh Fringe Festival and, most recently, as this past summer's offering by the esteemed Everyman Theatre in Gloucestershire. The musical is written for a cast of 13 children, 9 adults and a chorus. A children's choir can be incor-porated into the production to great emotional effect. The score is orchestrated for 8 musicians. Although WHISTLE DOWN THE WIND is a natural for the Christmas season, this musical will prove a meaningful gift to audiences during any time of the year. 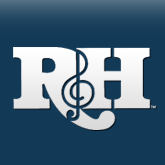 WHISTLE DOWN THE WIND is currently available for performance exclusively from The R&H Theatre Library. 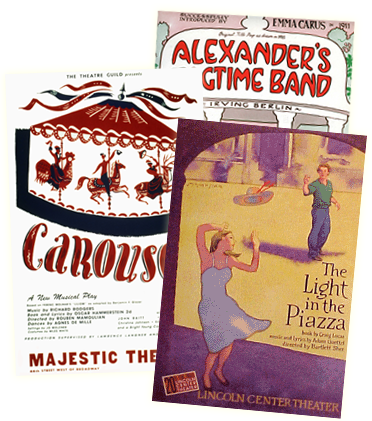 For perusal materials, or a catalogue of all our musicals available for production, please call (800) 400-8160 or fax (212) 268-1245, or write to The R&H Theatre Library at 229 West 28th Street, New York, NY 10001.